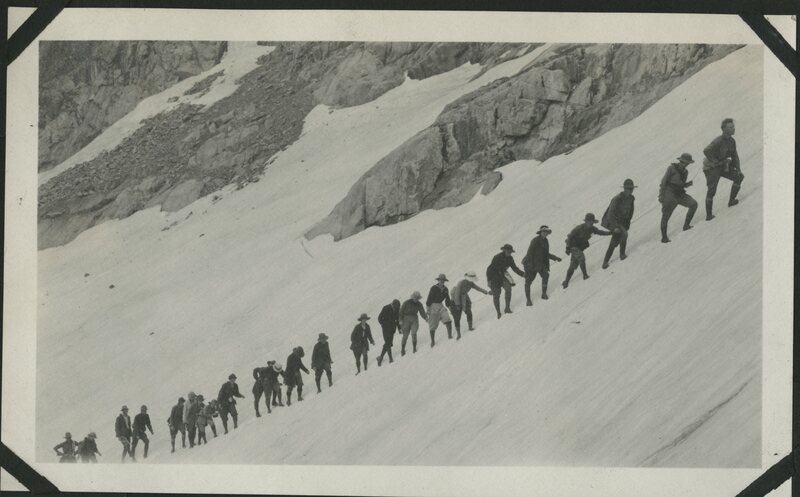 The Colorado Mountain Club has received a $5,000 grant from the Colorado Historical Advisory Board that will allow us to digitize and rediscover our history over the next year. 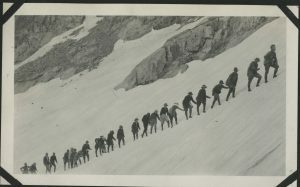 With this grant, American Alpine Club Library Director Katie Sauter will be going through the archives in four phases. The first step will be sorting and organizing all the CMC photographs and trip reports dating back to our founding in 1912. From there, they plan to move the documents into acid-free folders to prevent any further deterioration of the paper. Next, they will create finding aids to better sort through all the collections, and finally digitize the material. What Katie is mainly focusing on is scrapbooks from large CMC trips called outings, which normally hosted around 30-40 people. Outings went to a myriad of locations across the state of Colorado. These scrapbooks hold pages and pages of CMC history and several historic outdoor figures can be found in them as well. Attached in the gallery are just a few of the images found within the Outings scrapbooks. Also discovered in the CMC archives were Trail & Timberlines dating back to the 1920s, which are available for purchase to you history buffs. How is all this work getting done you might ask? By volunteers! If you or someone you know is interested in diving into CMC history and would like to help Katie she would greatly appreciate it. You can reach her at ksauter@americanalpineclub.org. Interested in learning more about CMC history? You can read the complete story on our website!